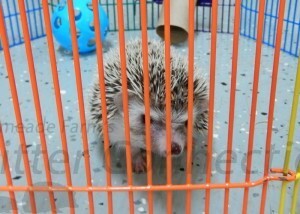 It is common for a hedgehog to exhibit changes in its behavior between the time it is purchased and the time the hedgehog is settled into its new home. These changes can occur for many reasons. By understanding these reasons, you can help your hedgehog transition smoothly into your home. With patience and proper handling, you and your new hedgehog will be the best of friends. Keep in mind that your hedgehog is leaving familiar surroundings. It is leaving its cage mates and home and entering into a strange new world. A change in environment and its associated affects is often called “shipping stress”. All animals react differently to changes. This is proven by the fact that differences in stress levels between animals are noted at the time of weaning. 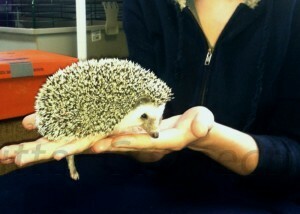 Handling hedgehogs is prickly business. A hedgehog owner’s confidence can range from having no fear of getting pricked, to being very scared of his or her new pet. Remember that hedgehogs have great emotion detection. If you are nervous, your hedgehog is likely to be nervous. Read and review the tips outlined in our other guides to make sure that you are doing what is best to encourage a good response from your pet. 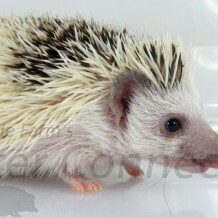 The quilling process is likely to have started or will soon start by the time you take a baby hedgehog home. Although this process is called quilling, it is actually the process a hedgehog goes through when it is experiencing new spine growth. Hedgehogs can have a range of pain and discomfort throughout this process; it is similar to a child during teething. The Quilling article will give you some insight about the process, what you can expect, and ways to ease the discomfort. Try to minimize petting if your hedgehog huffs and puffs. Huffing and puffing are the first signs of discomfort. Instead, continue to bond with your hedgehog by allowing the hedgehog to explore you through crawling on you and by getting to know your scent through sleeping on you. 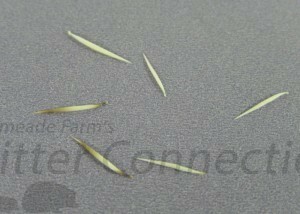 More bonding tips and information can be found in several of our other articles.